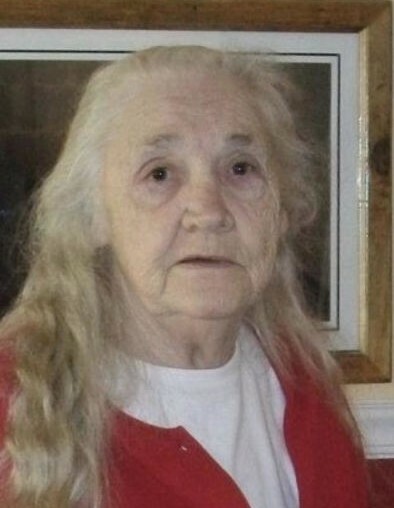 Opal Jackson, 82, a resident of Good Shepherd Community Nursing Center, formerly of Matewan, WV, passed away on Thursday, March 21, 2019 at Pikeville Medical Center. She was born July 14, 1936 at Freeburn, KY, a daughter of the late Jake & Geneva “Layne” Wolford. In addition to her parents, she was preceded in death by two sons: Charles Randal Jackson & Ken Martin Jackson; one daughter: June Carol Jackson; three sisters; Pricie Lester, Helen “Peter” Mounts, Brenda Murphy; and three grandchildren. Opal was a homemaker and loved taking care of others. She raised many of her nieces & grandchildren and has fed many people who have visited her over the years. Opal was a member of the Bible Way Apostolic Church at Thacker, WV. She enjoyed going to church and was strong in her faith. Opal stood for what she believed in and never cared to tell anyone what she thought. Those left to cherish her memory include three sons: Jake Jackson of WV, Ricky (Kathy) Jackson of Thacker, WV, Larry Joe Wolford of Matewan, WV; one daughter: Anna (Andrew) Etheridge of Wilson, NC; two sisters: Ocie “Tootsie” (Bernard) Smith of Blackberry, KY, Erma Lou (Larry) Kennedy of Chapmanville, WV; one brother-in-law: Larry Murphy of Delbarton, WV; a special niece: Brenda Gail Wolford of North Carolina; and a host of grandchildren, great grandchildren, family & friends. Funeral services will be conducted at 1:00 P.M. Sunday, March 24, 2019 at the Jones & West Funeral Home with Reverend Bernard Smith officiating. Burial will follow in the Thacker Cemetery, Thacker, WV. Visitation will be from 6:00 – 10:00 P.M. Saturday at the funeral home.